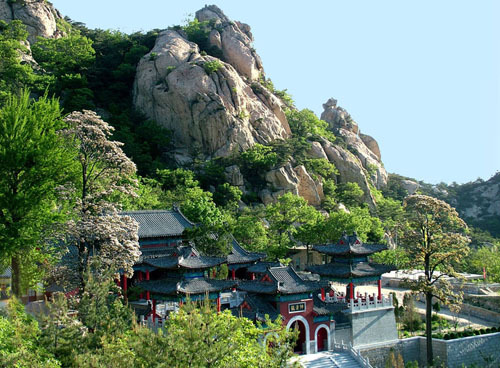 To the south of our kunyu mountain academy ,there is the Taoism Temple and Yan Xia Cave.It will take about 20 mins to climb to reach it on foot.We usually training there and have mountain run each Friday afternoon. 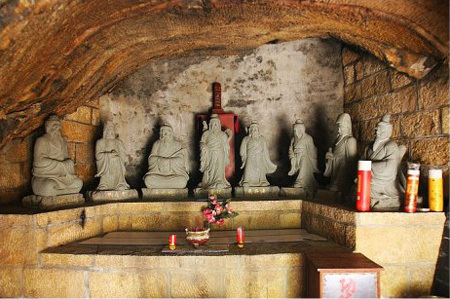 The mountain cave ,Yan Xia cave,it is said the founder of Taoism meditated for lots of years.There are eight statues inside the cave, got respect from people.Yan Xia cave made of natural rocks. 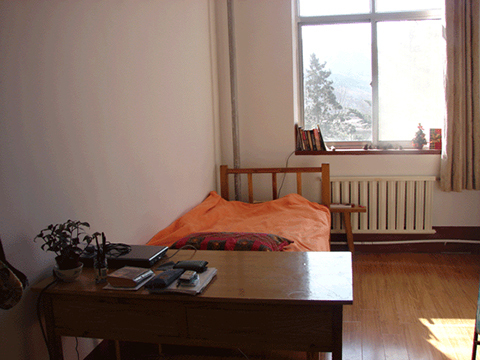 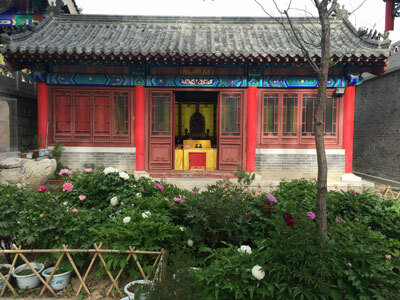 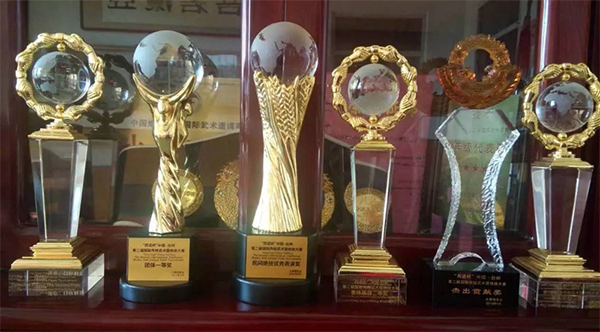 The Quan Zhen religion under Taoism has made the cave their novel place. 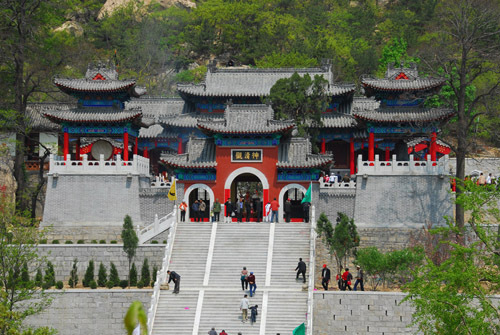 The Quan Zhen of Taoism leader called Wan Chong Yang arrived from Xian Yan located in the eastern parts of the Zhong Nan Mountains in 1167. 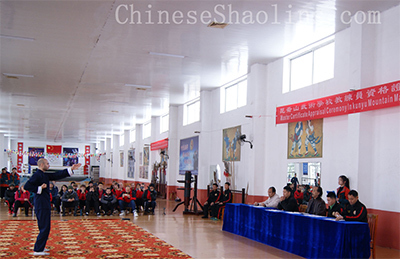 He called the followers together inside the cave and taught them. 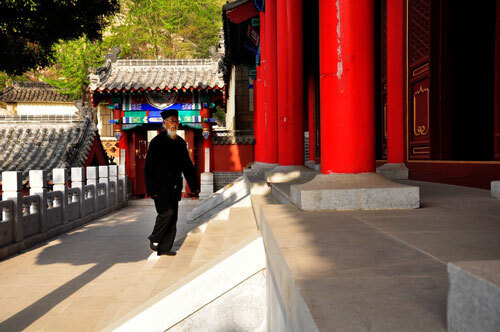 Qiu Chulji was among the seven followers and became known as Seven Immortal. 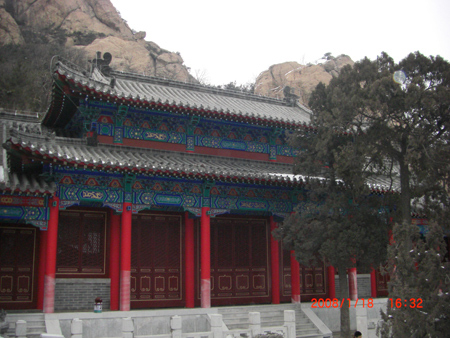 Their properties that include imperial edict tablets, bronze tablets and statues made of stones are under protection. 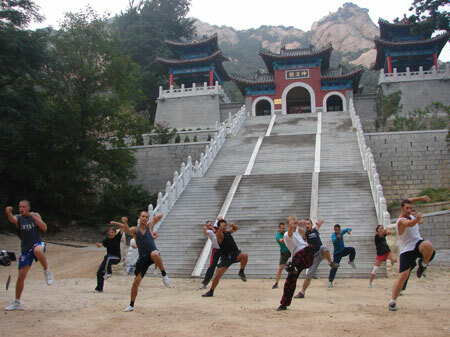 The newly built Taoist temple is 500 meters near the academy ,we sometimes go there for training. 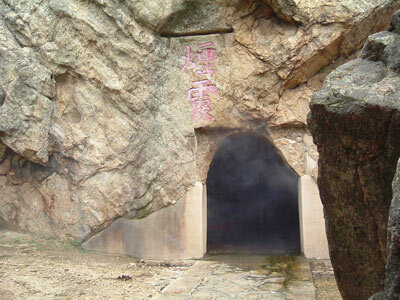 The mountain cave ,the Eight Immortals in it, got respect from people. 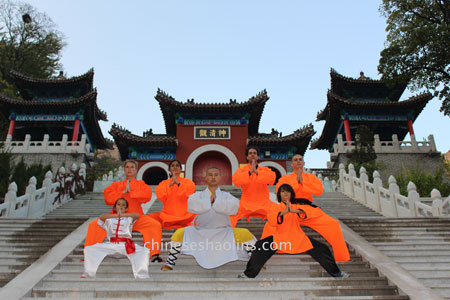 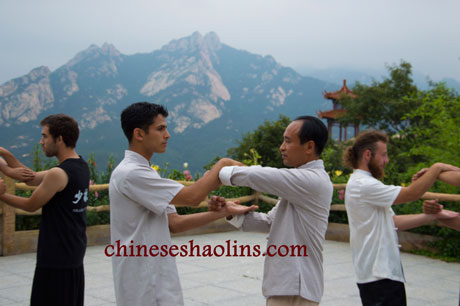 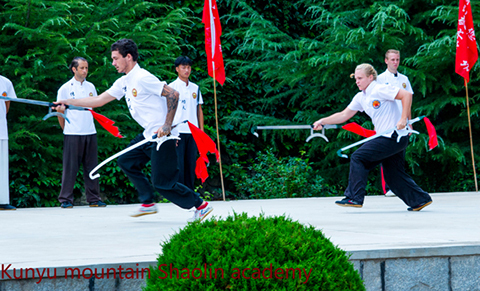 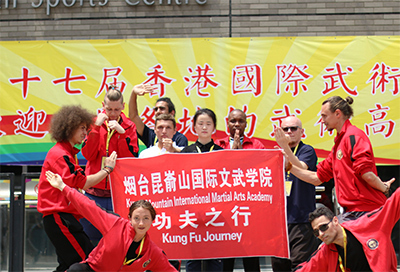 Training shaolin kungfu in the Taoism Temple near academy. 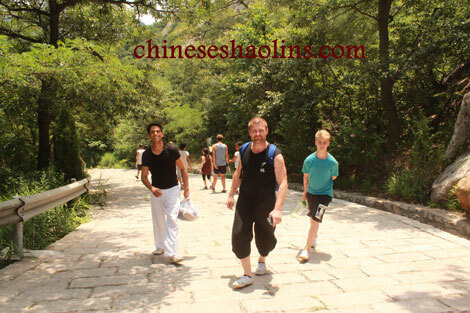 Students climbing the kunyu mountain and the Taoism temple. 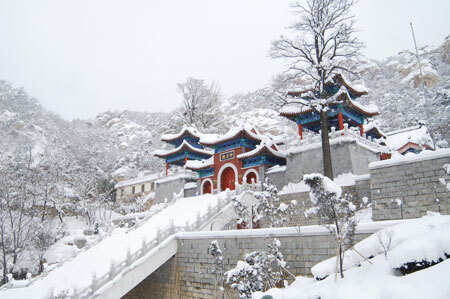 Unique Snow view in winter Kunyu Mountain.